Besides doing yoga and watching high school football drama on Netflix, I’ve been going to mass every week with Cate’s class at school. At first she pretended she didn’t notice me there, but today she actually sat with me and shared the songbook. As if I needed it. pshh. 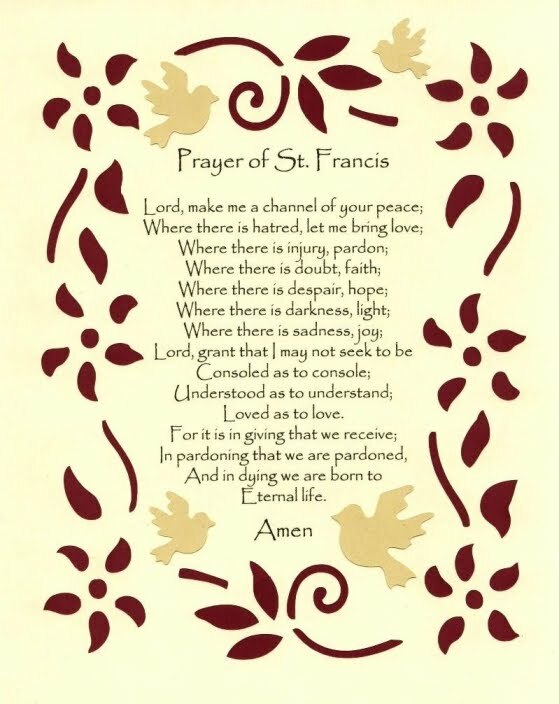 After 12 years of belting out “Gather us In” and “The Prayer of Saint Francis,” I have all those school mass songs down by heart. Speaking of Francis. I wasn’t surprised when his trip to the United States was among the Prayers of the Faithful today. But I was surprised when I hesitated to join in being thankful. Even if it was only for a second. Anyway, I was really struggling. If you’ve been reading my blog for awhile, or you know me well, then you know I already struggle with some of the other teachings of the Catholic church. But as Angie and I have discussed: we can’t just throw up our arms and walk away. We have to be the change we want to see. We have to be the channel of peace. And I want to see a Catholic church that embraces all people equally, and is driven by love and service to those in need. That’s what I’ve been seeing and hearing from Francis; and that’s why I’ve been so encouraged lately by the direction of our church. And that’s why I was so disappointed to see the news about the meeting. I can’t sit here and judge Francis for meeting with anyone. After all, I have no idea what is in his heart. Meeting with someone is not condoning their actions. We are all called to offer love and understanding, even when we don’t understand. I’m not going to let this diminish my excitement about the possibilities I see under the leadership of Pope Francis. I’m not going to let injury and doubt and sadness take even one moment of the peace I felt this morning standing next to my daughter, listening to her sing about hope and joy and love. We have to be the change we want to see. Even when we can’t always understand the world around us.